Well, not all of them are back yet (ahem--30 Rock). 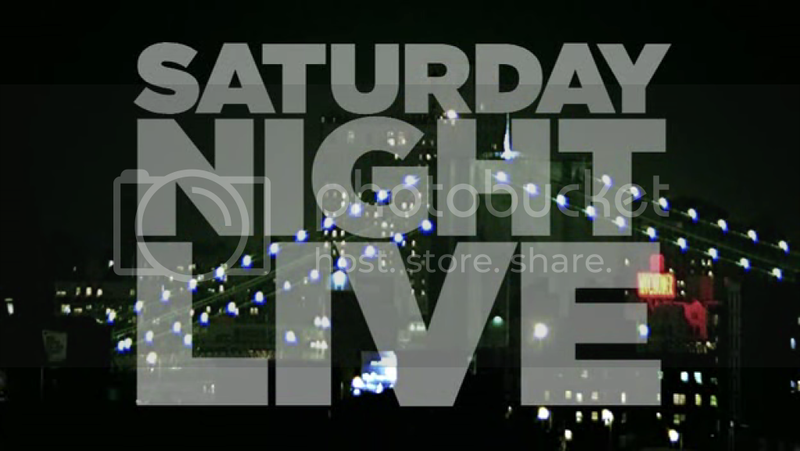 But at least Saturday Night Live is! I felt like he had a lot of potential though, and I hoped they wouldn't kick him to the curb just yet. So when I found out he was going to take over Obama from Fred Armisen, my hope was renewed. I knew he would do a great job because he is fantastic with impressions, and let's be honest, at least he's the same ethnicity as the President (which is not to knock Fred Armisen's ability to play any ethnicity on the planet, much like Maya Rudolph). I was right. His cold open the first episode was brilliant, and he's gotten to be in lot more sketches throughout the first two episodes than he was last season. I particularly liked the talk show sketch where he and Kenan played rappers talking about fashion. I'm excited to see where his SNL career goes. Can we just talk about how much I love Kate McKinnon? She was in one or two sketches at the end of last season, and I thought she was great. But she has won me over already--if nothing else, her Mrs. Romney impression was hilarious. I think she could be the new Kristen Wiig-type cast member. I'd be okay with it. One of the only things more underrated than Bobby Moynihan is his character, Drunk Uncle. I don't usually see people talking about it online anywhere, but it's one of my favorite characters on SNL. It might be because I'm a millennial (or whatever they call us) and he says things like "are these peanuts free range?" making fun of our generation. But I think it is fantastic. It's election year, and you know what that means…Weekend Update Thursdays! Sure, I don't follow any of the actual debates or interviews, but I do tune in to Seth Meyers on Thursday nights to see what funny things he has to say about them anyway. It's SNL in the middle of the week. You really can't go wrong. Pretty much the only good thing about election years is that SNL is even better. First Frank Ocean (with John Mayer), then Mumford and Sons. They're on a roll. No complaints here. Muse is next, which I am also excited about. Maybe if they stack the lineup like this all season long, enough time will have passed so that we'll have forgotten that whole Lana Del Ray debacle. Here's hopin'. I will say I miss Abby Elliott already. Huge bummer not having her there this season. I'm hoping my love for Kate makes up for it. What's your favorite sketch or character so far this season?